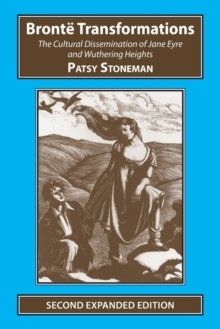 This landmark book - entirely unobtainable for several years - is the single essential study of how the best-known Bronte novels - Jane Eyre and Wuthering Heights - achieved their world-wide fame. It offers a fascinating account of how the novels have passed into the general culture through a wide variety of media - on the stage, in film and television, in books, illustrations, comic books and paintings, operas, ballets and musical versions, parodies and allusions, as well as later 're-workings' of the original plots. No other book provides such a thorough record of the processes by which the novels have been transmitted and transformed. Now regarded as a seminal work in the field of adaptation studies, this exhaustive study offers analysis of the various texts in terms of their historical and generic construction, aiming to relate the form of each derivative to its ideological function. Its methodology is eclectic, mixing traditional literary criticism with feminist, psychoanalytic and deconstructive techniques to create a work which is both entertaining and scholarly. 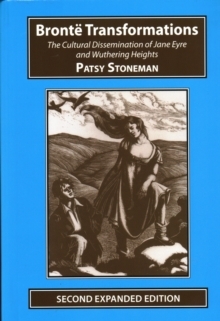 The book includes a uniquely detailed listing of Bronte derivatives as well as a general bibliography, and is enhanced by black and white illustrations.